Live Streaming Pros help businesses to increase engagement and revenue with live video. 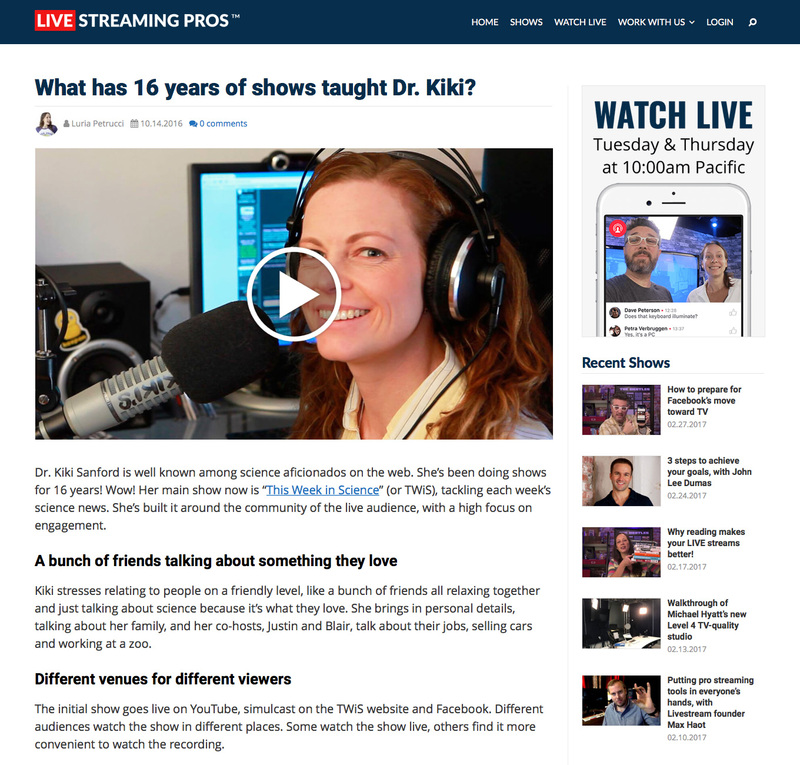 I designed the Live Streaming Pros website which features a membership backend, online learning system, and a blog. I also created social media graphics, adverts, show artwork and lower-thirds. I continue to manage the website and produce new graphics as and when required. I trust no one more than Paul Dixon to design our website and all our social, web and promotional graphics! His eye for beautiful and clean design, his attention to detail, his dedication and easy attitude make him irreplaceable!